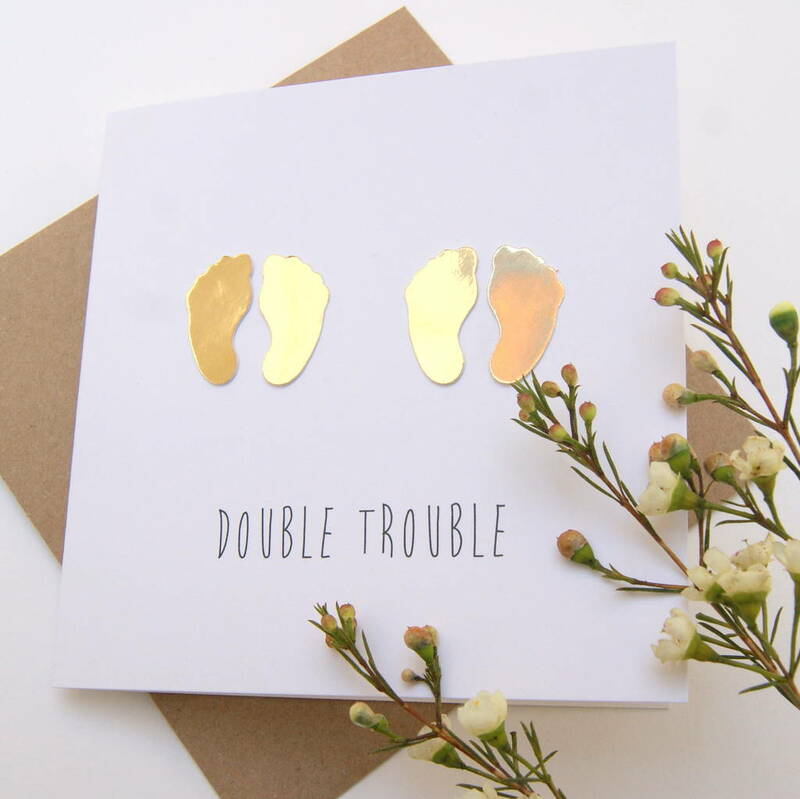 This card is so extra special, every mum to be would love the surprise of recieveing this on Mothers Day! 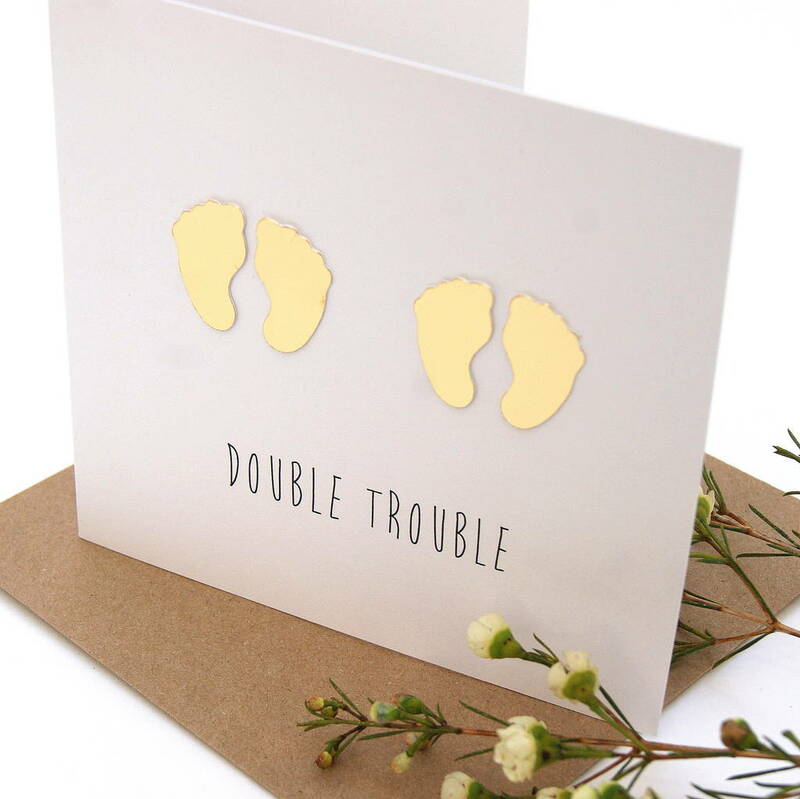 ts the first card to be remembered and treasured as a new Mum. 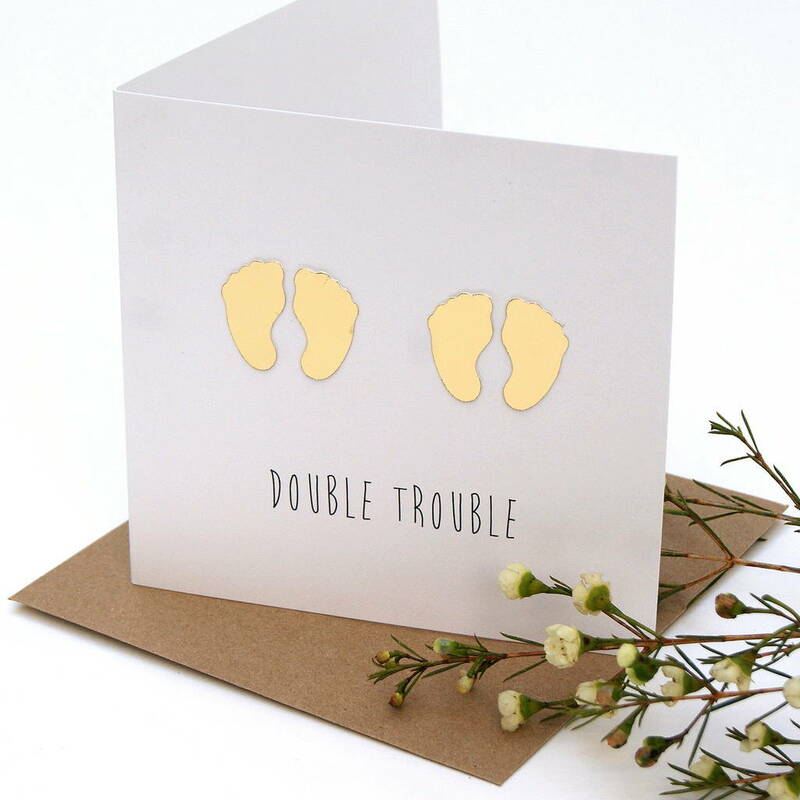 The card is designed with a stunning two sets off paper cut gold feet, that is mounted on an ivory card to create a slight 3D appearance. Underneath the feet the wrods 'double trouble' sits. 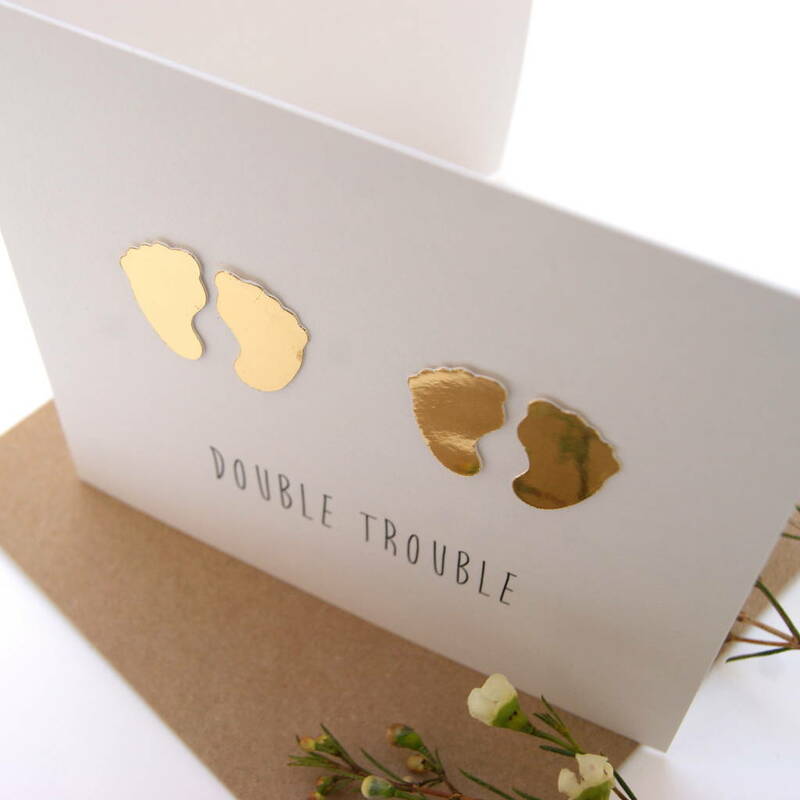 The card is left blank inside so you can hand write your own perfectly personal message. 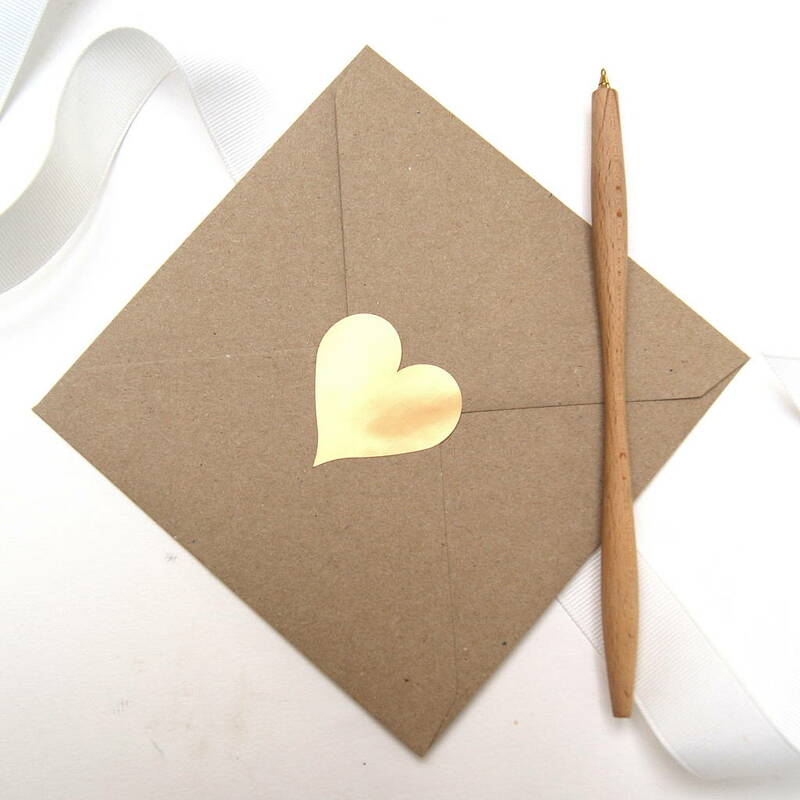 It comes with an eco-craft envelope and gold heart sticker to seal the envelope. 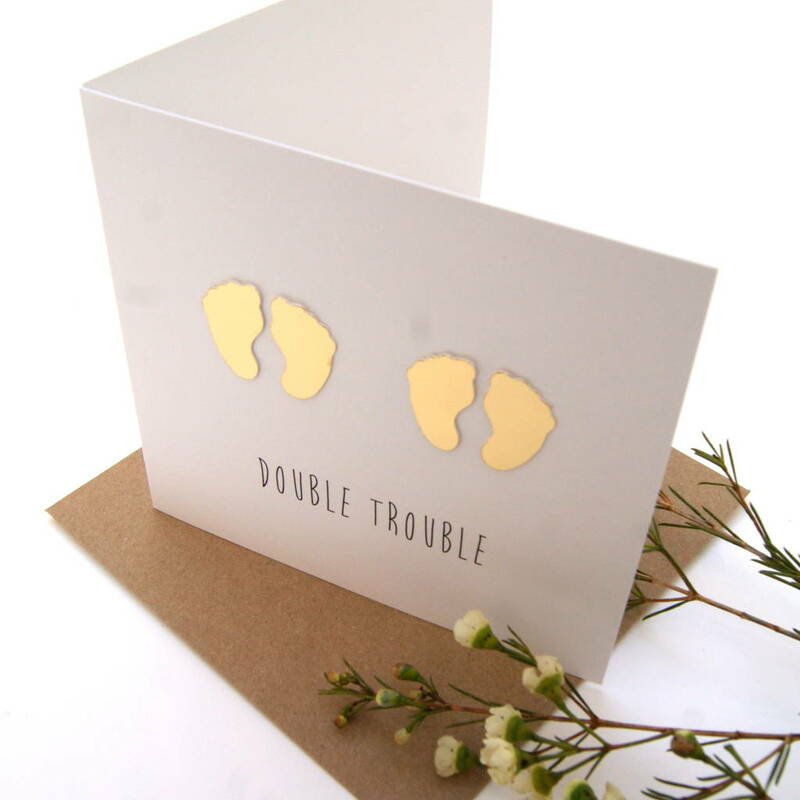 This card is 300gsm natural white card & comes with a eco craft envelope and a gold heart sticker to seal the envelope. This product is dispatched to you by The Hummingbird Card Company.